Everything you wanted to know about apartments. We’ve teamed up with some amazing housing options in the city with your needs in mind. Click on the logos below to learn more. Corporate Living administers your housing from arrival to departure. This means no time-wasting apartment searches, no ugly surprises upon move-in, and no ridiculous paperwork. 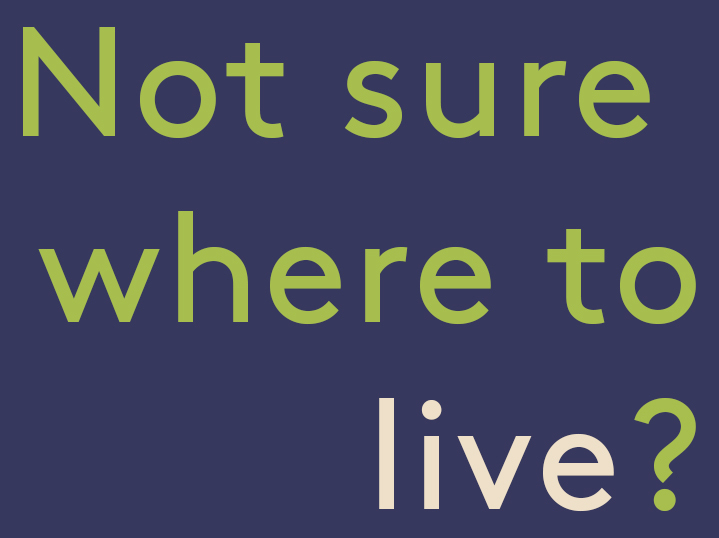 You can rest easy knowing you have secured a comfortable, convenient, and affordable place to live this summer, enabling you to focus on what is really important: your JPMC experience in an exciting new city. EHS can either pair you up with roommates you already have in mind or make the match for you. Your roommate also doesn’t have to be someone you work with. Travelers Haven is one of the largest and fastest-growing corporate housing companies in the country, specializing in affordable short-term accommodations for interns. You can create an account and access the housing dashboard. From there you can fill out a new housing request by entering the location in which you wish to rent and basic information about the property you’re looking for. After clicking submit, a dedicated account manager will call you within moments. Should you miss the call, they will also follow up with an email. Send us a message or chat with us below. 5 boroughs. 1 New York City. New York City actually comprises 5 boroughs which are in themselves, sort of independent jurisdictions. Manhattan is probably the most well known of all. When people say “The City” they’re probably referring to this iconic borough. It’s a tiny island—just under 23 square miles—but it’s home to over 1.5 million people. The center of New York City’s hustle, Manhattan is home to over 50 distinct neighborhoods ranging from residential to almost entirely commercial. If New York is the ‘big apple,’ then Manhattan is its core. Brooklyn and Queens are just as well known as Manhattan. While they are technically attached to Long Island, they’re completely different and have distinct neighborhoods. 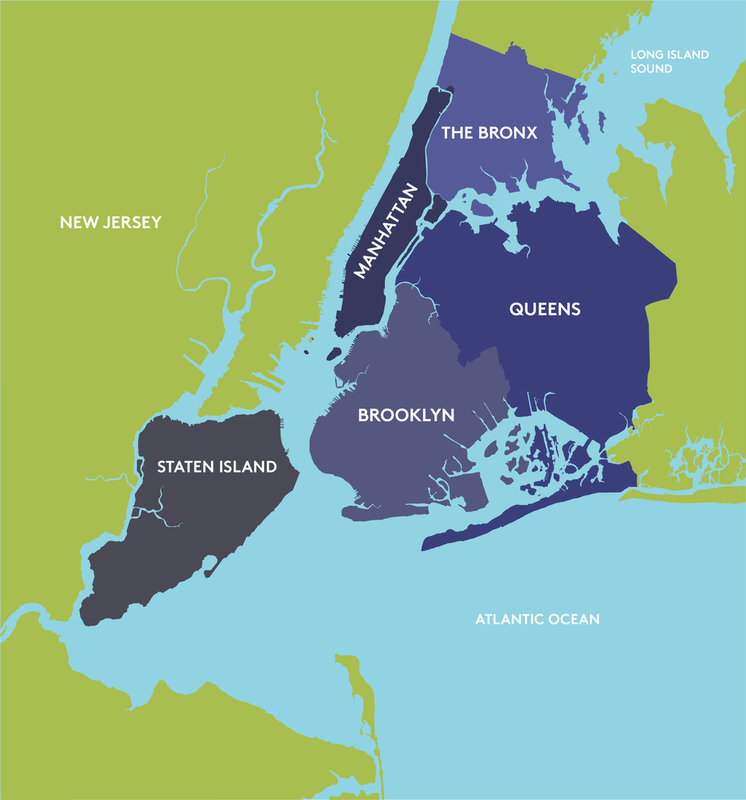 Largely residential, Brooklyn has its own Downtown, and Queens has Long Island City (L.I.C.) which are urban jungles in their own right. With easy commutes into Manhattan, they’re popular with people looking to live in the city, without the constant hustle and bustle of living in Manhattan. The Bronx is located just north of the island of Manhattan and like Brooklyn and Queens, it’s a distinct and popular borough with commuters who work in Manhattan. Just north of the Bronx is Westchester County, NY. Westchester is often the destination for those with families or individuals looking for a more suburban feel than the city offers. Staten Island is often over-looked considering how close it is located to Manhattan. Almost entirely suburban, Staten Island is choc-full of single family homes and some apartment buildings. People often describe going there and completely forgetting that Manhattan is only a few miles away. The Staten Island ferry, which is how many commute to their jobs in Manhattan, is free and a great way to see the Statue of Liberty. New Jersey isn’t an NYC borough, but it’s a very popular home for many who work in New York but want to save a bit on the rent. Locations like Jersey City and Hoboken are about the same commuting distance to Manhattan as Brooklyn and Queens. Pro-tip: when taking the subway, you’ll notice trains either move uptown or downtown. This means they’re either traveling north (up) the island of manhattan towards the bronx, or south (down) the island towards brooklyn/queens. How do I find a room in an apartment? The inside scoop on roommates & shared living. With three major airports at your disposal, you’re spoiled for choice. How are you going to get there? 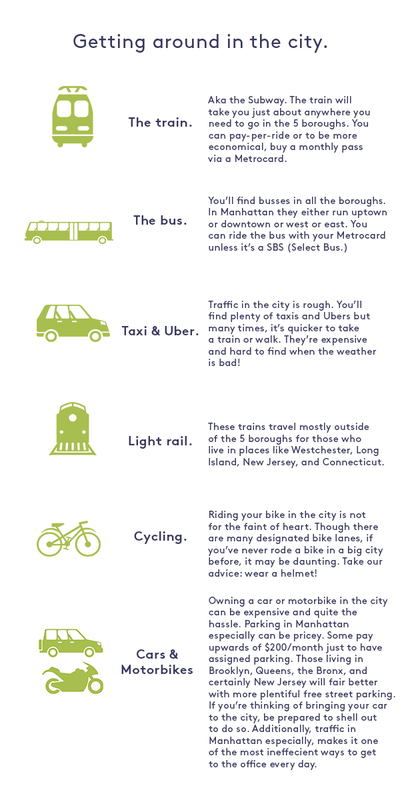 If you’re new to the city, these subway tips will help you save time and embarrassment. We know the hustle really well. Don’t just live in New York. Be a New Yorker. NYC happens to be one of the most exciting cities in the world, so there’s no shortage of indoor entertainment options for those who don’t want to spend time outdoors in single-digit temperatures. Often referred to as “America’s playground,” Coney Island is the famed birthplace for the modern amusement park and stands as an icon representing summer Americana. Check out what all the buzz is about. Click on a neighborhood below to explore the city’s amazing neighborhoods. Dwellworks Property Advisors has teamed up with the folks at J.P. Morgan Chase. to be your local experts in NYC. Our awesome team knows the in’s and out’s of the city. From finding the perfect apartment to where you’ll get the best local brew.